That’s a lot of titles and facts about one single place… the site I was about to visit. All I knew was that there was some distant aunt hidden somewhere in the suburbs of Mexico City and she was expecting my arrival. This aunt needed some patience though, as the traffic congestion was one of the worst I experienced in all my travels (maybe Guatemala City can level it). A few kilometers distance can take a solid 1,5 hours, but walking is not an option unless you want to be gassed by the unfiltered exhaust fumes coughed out of the millions of vehicles. 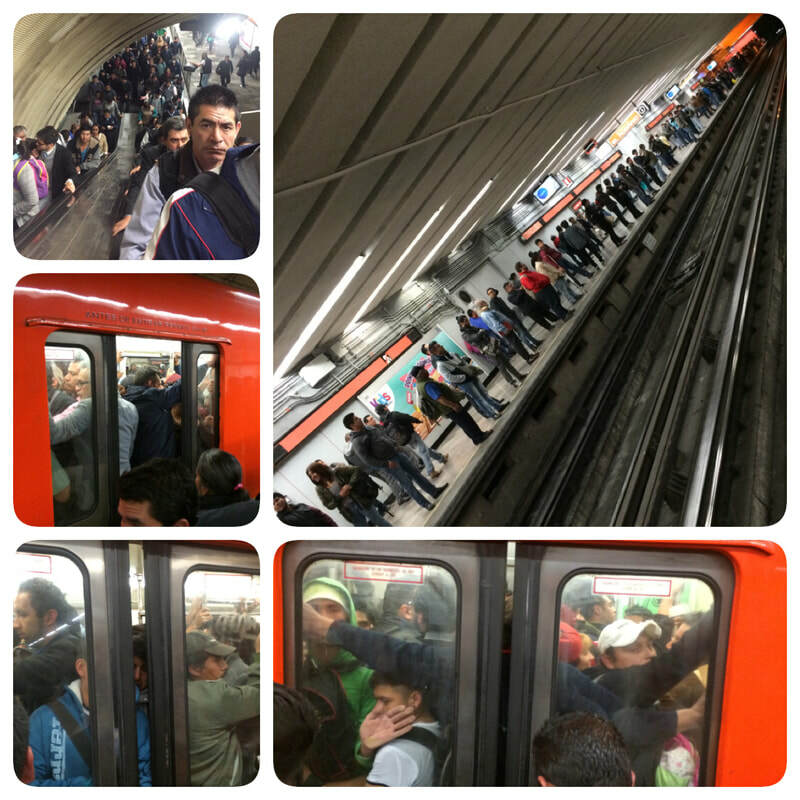 The metro situation seems a bit more hopeful than bus transport… but enter with an aggressive run-up to cram yourself in. 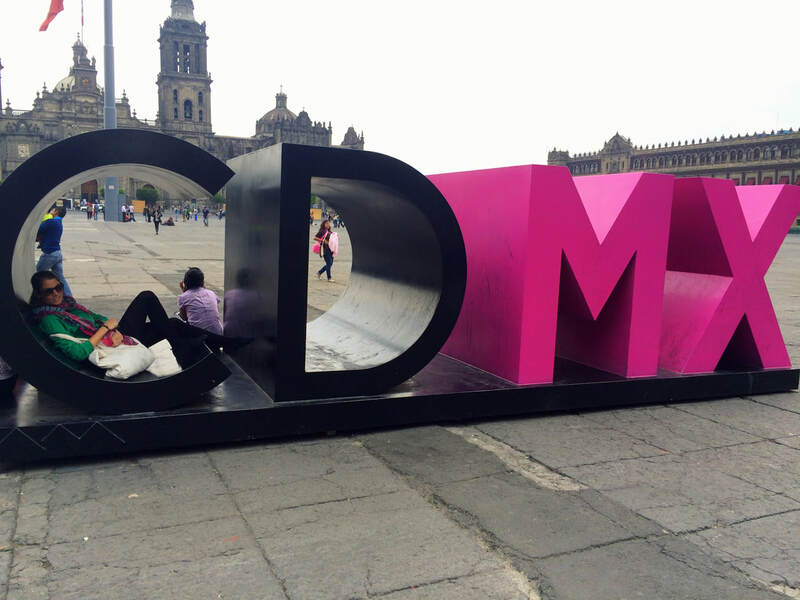 Mexico City, called ‘DF’ – Districto Federal - by the locals, presents its questionable beauty under a thick fat layer of smog that hardly ever permits the entrance of sunlight. Also, it was cold. Unexpectedly cold for a Latin American country… I even got my thermo-leggings out for the first time in 1,5 years. 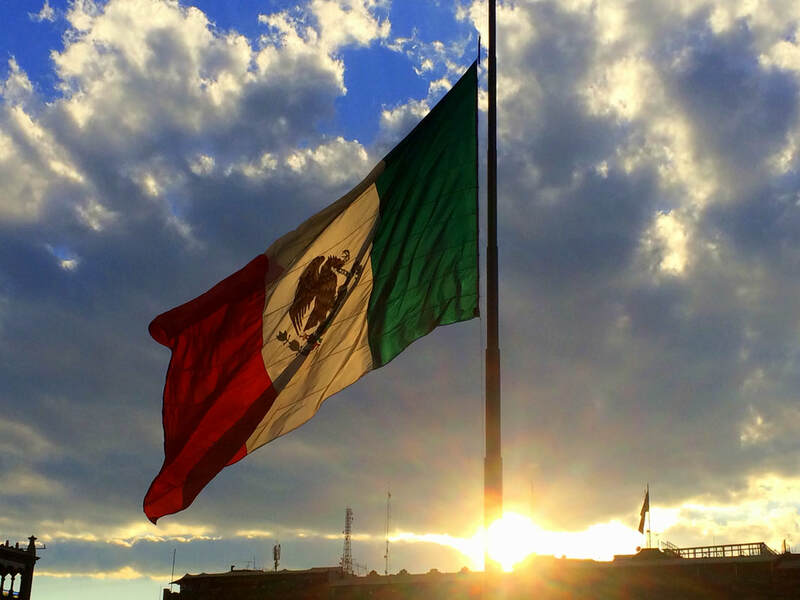 Therefore, it wasn’t the typical ‘love at first sight’ I experienced with basically all other Mexican places I visited the two months prior (except of Cancún)… However, I found myself positioned at a location that could rightfully bear the title CITY. The Palacio de Bellas Artes is a must, if only for the building of this theater. I have been to Paris, Rome and Vienna... but honestly, the grandeur of this place impressed me. Inside you can find murals of Siqueiros and Diego Rivera expressing the clear zeitgeist of the age this massive building was constructed (Diego Rivera, sounds familiar? Right, it’s Frida Kahlo’s husband). I entered for free on a Sunday, so you have literally no excuse to miss this. Another “duhhh”: Museo Frida Kahlo, the icon of Mexico. 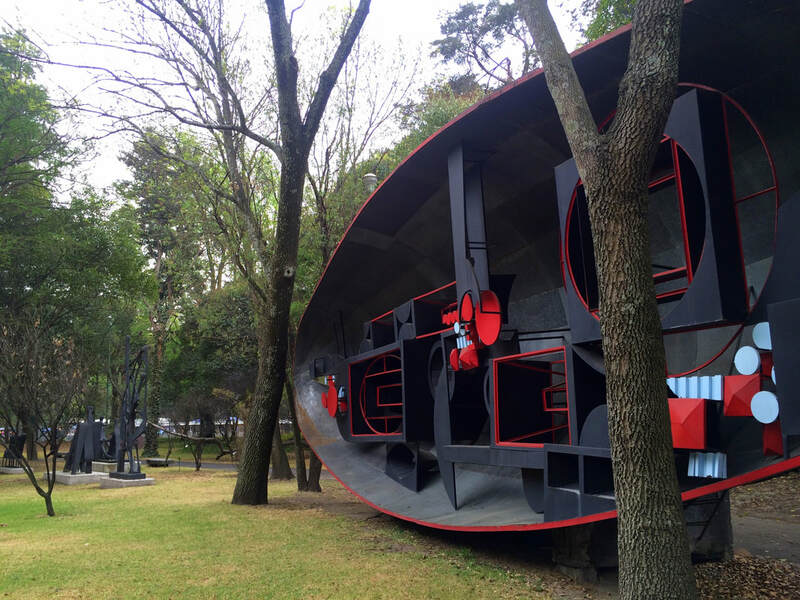 Located in the atmospheric Coyoacan neighborhood, be ready to join a loooooong line to enter this highlight. Oh, it’s also overpriced, just so you know. However, it’s all worth the trouble. Where else in the world can you visit her own house where she lived with her husband Diego and temporarily with Marxist leader (and her lover) Leon Trotsky and his wife? The place is stuffed with her most important artworks and even her ashes can be found in her former bedroom. I spent hours in this small place, just feeling lucky to be there. So Trotsky, huh? Yes, also he has his own museum, the Museo Casa de Leon Trotsky. It’s located in his former house, the house where he got murdered… a bit macabre, but oddly fascinating. Here you learn everything you wanted and didn’t want to know about this Ukrainian legend. Another freebie on the list is the magnificent Museo Soumaya, which would easily take the price of the most intriguing building of all, if you’re into modern stuff. Funded by some generous rich guy, this museum exhibits the ‘crème de la crème’ of the artistic heritage of both Mexico and Europe. The combination of its permanent and temporary exhibits is in one word sublime. You can even make a pic of Rodin’s ‘The Thinker’, an almost orgasmic highlight of my visit to Mexico City. An obvious choice, the Museo Nacional de Arte is yet another pretty collection in yet another pretty building. Yup, you’re getting quite spoilt here on the museum front. Look out for some (more) work of Diego Rivera and Rufino Tamayo. A bit of a weirdo in this enumeration: Museo Memoria y Tolerancia. Even though it says it’s about tolerance in general, it’s really yet another museum about the Jewish genocide during the WWII in Europe. Sure, they have some rooms about genocides in places like Rwanda, Cambodia, Armenia and Guatemala, but the focus is on Nazism. For me a bit of a pity, because as a European I’d rather expand my knowledge about the (dark) history outside of my continent, rather than reading again what I already know. That said, this museum is very well done and one of the best in its kind. Of course, to have winners there must be some ‘losers’ as well. Because I love modern art I made the logical decision to visit the Museo Arte Moderno. I wasn’t outspokenly impressed. 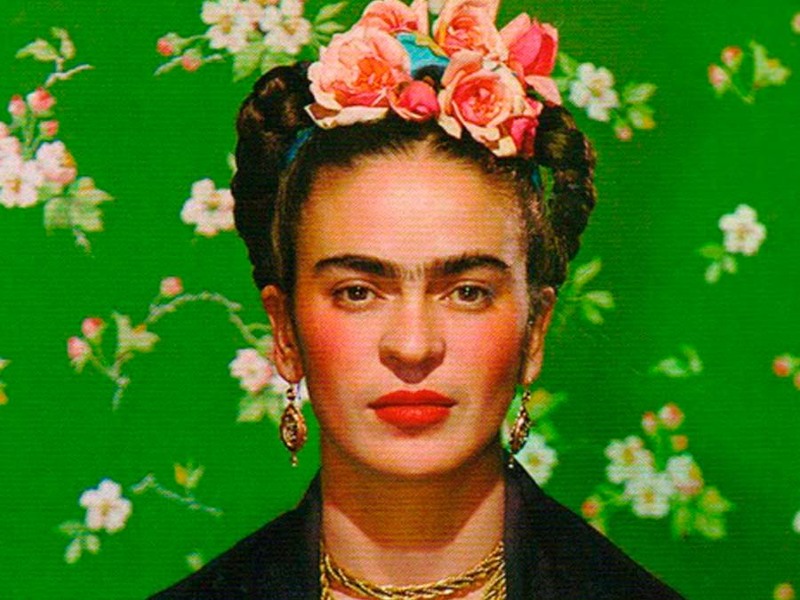 Ok, to call it a ‘loser’ might be a bit crude, but I just felt it completely leaned on one famous Frida artwork. That said, I went in for free with my fake student pass (I’m 19 on that photo, so self-esteem-boost right there), so I only lost some time. I obviously also missed a shitload of museum-related stuff. Supposedly Museo Nacional de Antropologia as well as the Museo Nacional de Historia are quite the smash hits. Also the MUAC, the university’s contemporary art museum, appears to be a big ‘yes’. On top of that there are piles and piles of Maya sightings, but after a year in the Maya-part of Latin America I am entirely Maya’d out. Ok, I know I know… the whole concept of museums might be slightly boring to some. I know it’s somewhat odd, a girl in her twenties with a persistent museum fetish. So let me therefore recommend some sights to you as well that might fulfill your itching need to complete some kind of checklist you have to be able to tell your friends and family “you did Mexico City”. 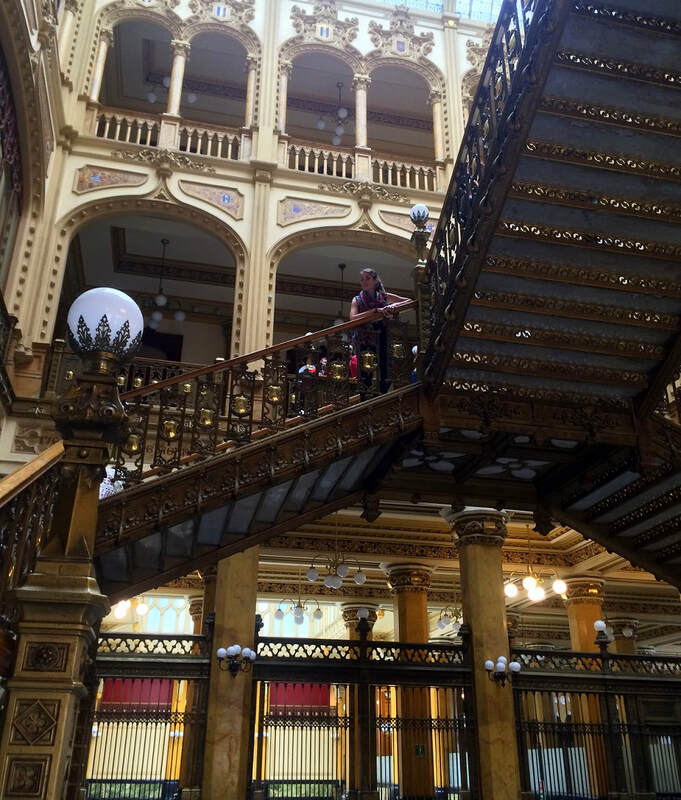 First of all, the Palacio Postal is not your regular post office. Let the focus be on ‘palacio’, palace. The abundance of gold and ornaments are of an almost Christian caliber (oh no wait, they’re humble right, gold in churches is purely practical to obtain the highly necessary ‘divine’ light…). For sure make some tourist snapshots with the Palacio Nacional (National Palace) and hang out a bit on the vivid Zocalo square. 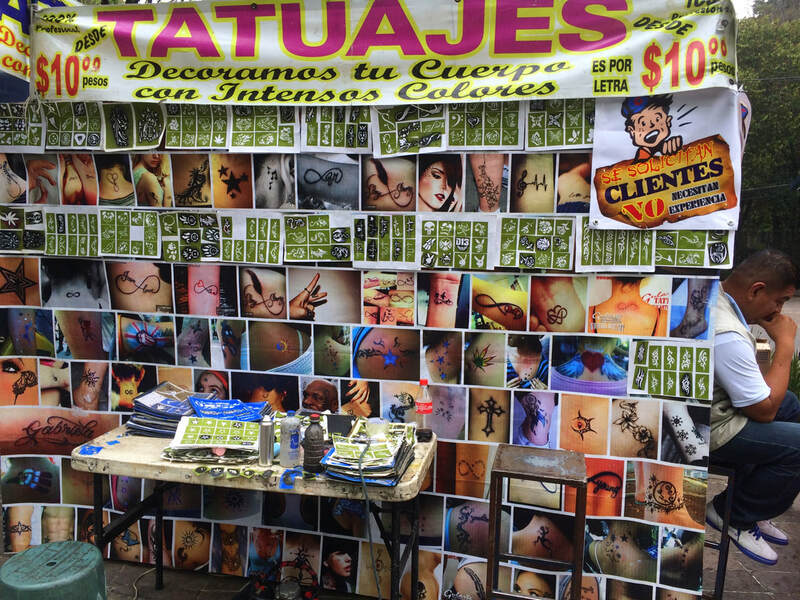 Or get the ultimate souvenir: A permanent $1 tattoo. Seems legit. And well, before you know it your time in ‘DF’ is up. If you want to see it all consider renting an apartment for at least 6 months. Even though I would never ever want to live here, I felt sad leaving the place. FoMo: ‘Fear of missing out’; social angst, a pervasive apprehension that others might be having rewarding experiences from which one is absent.